We strive to have cars of many different eras and tastes. 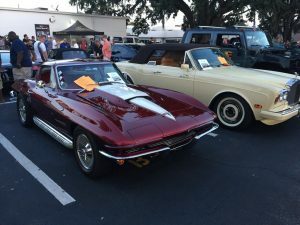 Below you will find a partial listing of some of the cars we might have available. 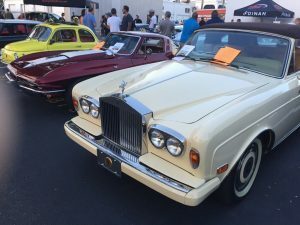 Rolls Royce and Corvette at a recent car show.